I have made a recent effort to write more specifically about the work of women and people of colour, both behind and in front of the camera. A rather chaotic few days and a refurbishment at my local cinema left me with only a film by and about a white man to watch and review this week, much to my dismay. I was also slightly dreading Final Portrait in the way I would any artist biopic – wary of the conventional traits that make such films so, well, conventional. Much to my relief, Final Portrait turned out to be a charming little 90-minute piece which re-tells the final chapter in the life of Swiss artist Alberto Giamcometti. Stanley Tucci’s directorial vision sets up and prepares us for the usual cinematic traits of the genre but quickly pulls the rug out from under these preconceptions. The film opens with brief introductory narration about the encounter we are about to witness. American writer James Lord makes his way to the home of Giacometti, strolling through the charismatic and quaint streets of Paris in the mid-1960s. Woody Allen-esque Parisian music coats the film’s opening minutes and I sighed deeply, preparing to embrace a world of twee. Entering a grey, concrete courtyard and knocking on the door of the artists home, the music instantly cuts out and before us in a crumbling, dusty bedroom is Giacometti, smoking a cigarette in a room seemingly already stained with nicotine a thousand times over. Like all the great films about famous artists, Final Portrait is as much a film about painting as it is about the painter. Process takes precedent over the man working the canvas in this well-crafted and expertly handled biopic. 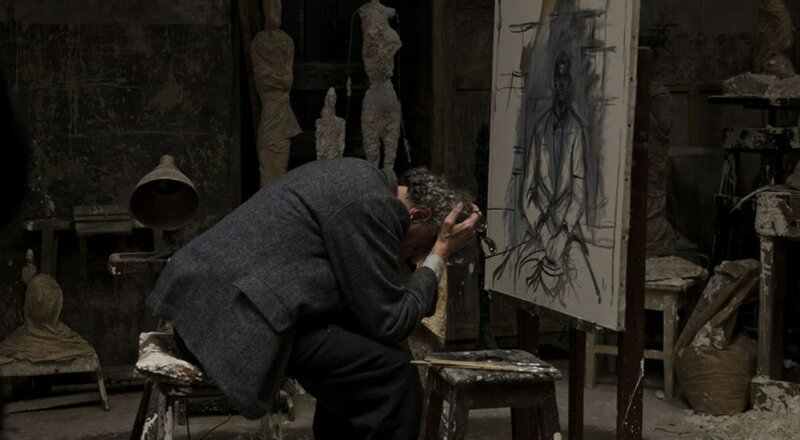 Most of the film takes place in the artist’s studio as Lord experiences the agony of sitting for a self-doubting and tortured Giacometti. The studio itself is a startlingly accurate recreation of the real thing. A cluttered, visceral space filled with clay and paint and half-finished sculptures filling any potential free space. Alberto moves erratically through the space, often irritated and sulky, unable to remain still. He moves through conversations whilst moving from each piece of unfinished work; moulding, shaping and creating constantly. Struggling with his art and meanwhile chained to an openly dishonest marriage and an affair with a Parisian prostitute, Giacometti is a turbulent and selfish soul. He is captured exquisitely by Geoffrey Rush who makes him human through both pain and humour. Armie Hammer is the perfect American writer whose torturous experience of sitting for a painting opens a window into the turmoil and contradictions of the artist, the man and the miserable. The women in this picture are played with energy and sorrow by both Clemence Poesy and Sylvie Testud. Meanwhile a wonderful turn from Tony Shalhoub as Alberto’s gentle brother provides a calming presence amidst the chaos and claustrophobia his character surveys. Final Portrait is a masterclass in cinematic precision and a testament to the confident directorial efforts of Tucci and the actors he has chosen to surround himself with. 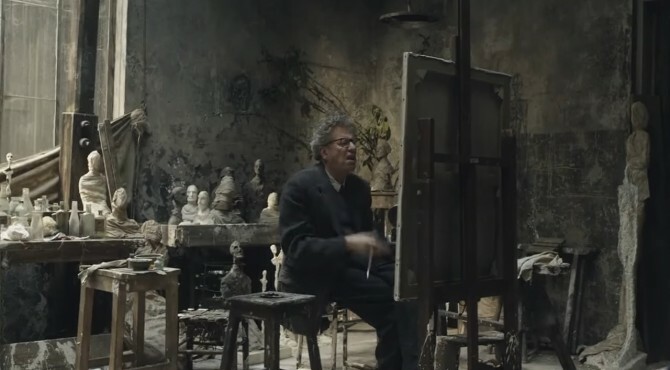 Tags: alberto Giacometti, armie hammer, Art, Biopic, Cinema, Clemence Poesy, film, Film Review, Final portrait, Geoffrey rush, Movie, Movie Review, Painting, Review, Stanley Tucci, Sylvie Testud, Tony Shalhoub. Bookmark the permalink. Previous post ← Shin Godzilla.